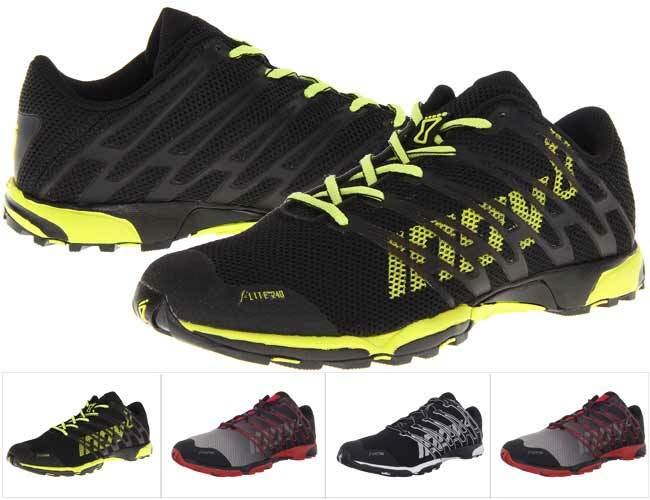 This versatile shoe is suitable for nearly any type of sport or activity. It will improve your running, training or parkour performance, and at the same time will help you stay safe while at it. This unisex sneaker has a weight of just 8.5 oz per shoe, which makes this one of the lightest parkour running shoes available. It has a 6mm heel-to-toe drop and low arch injected EVA midsole. These lightweight shoes are perfect for off-road and hard terrains, and are great both for men and women. They are great for parkour because of the low arched midsoles, the extreme light weight as well as the amazing grip provided by the sticky rubber outsoles. The sticky rubber reinforcement in the middle of the outsole which extends to the sides provides for extra traction and protection for rope climbing and descending as well. Also, they are designed to enhance a natural forefoot flex via a special meta-flex groove in the front of the shoes. The upper is made of a combination of synthetic and mesh and has specially designed fascia bands which will help limit the fatigue and improve the propulsion during running or jumping. The webbing on the upper also helps keep the foot in place during running or jumping, which adds more stability and safety for the feet, ankles and legs. Overall, these unisex British – made Inov running shoes are a great choice for men or women who are looking for reliable, durable, extremely light and flexible shoes which provide an amazing grip. They are definitely worth every cent and we will recommend them open-heartedly to anyone looking for investing in a high quality and reliable parkour shoe.